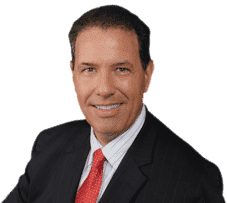 An ideal Sunrise Slip and Fall Attorney is Robert E. Gluck. As a professional attorney with experience since 1989, when he first became a lawyer, he has extensive experience with injury law. A slip and fall accident, or incident, can happen anywhere. It can happen while using a defective product, by slipping on a wet or uneven surface, or while on someone else's property. Robert E. Gluck will meet with you during a free consultation to determine the cause of your slip and fall and try to find negligence. An excellent Sunrise Slip and Fall Attorney will fight aggressively for you to win your case. He will prove negligence so that the guilty party will pay for your medical bills, as well as any wages you missed while injured. Negligence can happen when a reasonable person fails to use standard care, and it results in injuries. Robert E. Gluck will provide you with the emotional support you need to get through this difficult time in your life. With Robert E. Gluck, your case will have a higher chance of success. Hiring the right Sunrise Slip and Fall Attorney is important. When you hire the right attorney you will already be at a greater advantage. So hire Robert E. Gluck to represent you. Studies demonstrate an increased chance of winning a settlement when you have the right legal representation on your side. Robert E. Gluck will protect your legal rights and make sure you are always treated with respect. He will guide you every step of the way, from start to finish, and answer all of your questions. Your Sunrise Slip and Fall Attorney, Robert E. Gluck, will look for witnesses and get their witness statements. He will secure video footage, inspect the property for damage, and take photographs of the accident scene. Robert E. Gluck will personally meet you at the Law Offices of Robert E. Gluck, P.A. You will be very impressed with the high level of professional legal support you receive from Robert E. Gluck. Contact him today to schedule your free consultation.